Most standardized are norm-referenced. Many schools tell parents this in PTO meetings, but often forget to explain what it really means. Norm-referenced (as opposed to criterion-referenced) means that it is based on a norm or AVERAGE, that is aggregated from the sum total of the previous scores of similar test-takers. In other words, most kids are average. The exact statistic is that 68 percent of kids fall in the “average range,” which is generally one standard deviation or less below or above the norm. So, if you see that your child was below average, just remember, that many other kids were too. 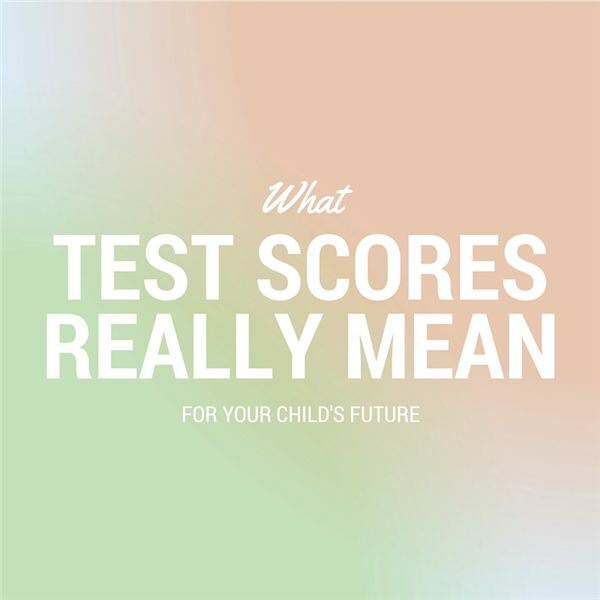 Study the exact score that your child achieved and compare it to the average. If you find they were far below average, you may want to consider getting them extra help in this area, as this may be something with which they really struggle and need remedial help. Most tests also provide other scores in addition to where your child fell in the “normal range” on standardized tests. For example, you may see a “standard score,” listed, specific test scores on Math, English or Writing or other numbers. This information can be difficult to digest all at once. If you do not understand what the tests mean, ask for a conference with your child’s teacher or counselor to have them explain the results to you. Once you see where your child falls in the norm, you will have a better idea of where they need to improve. However, you also want to remember that the tests do not test everything. Schools are set up to test only the mainstream skills such as reading, language arts, and math, science, and other liberal arts. The world is slowly getting away from some of this and it is beginning to recognize the importance of being highly specialized in other disciplines, such as technology, the arts, and mechanics work, to name a few. The world needs specialists. Colleges and universities are starting to heed to this call, but public institutions will probably be the last to jump aboard. Loyalists of traditional education will want to hang onto the notion that the “3 Rs” cover all that is needed until they cannot do so any longer. Remember when interpreting test results that the test will not test skills that your child may focus on in his or her career. Why is this good news? Because it means that, though such tests are a necessary requirement that kids must deal with while they are in school, they could very well be superior in those areas that are not focused on in such tests, and this could propel them to greatness even faster than those who take the traditional route to a career. That being said, the tests are an important piece of information for you as a parent and you should talk to your child’s counselor about their future career if you are concerned about how it might affect their entrance into college later on and have them help you create a constructive plan that will help them increase their chances for success, whether they take a traditional or non-traditional route.